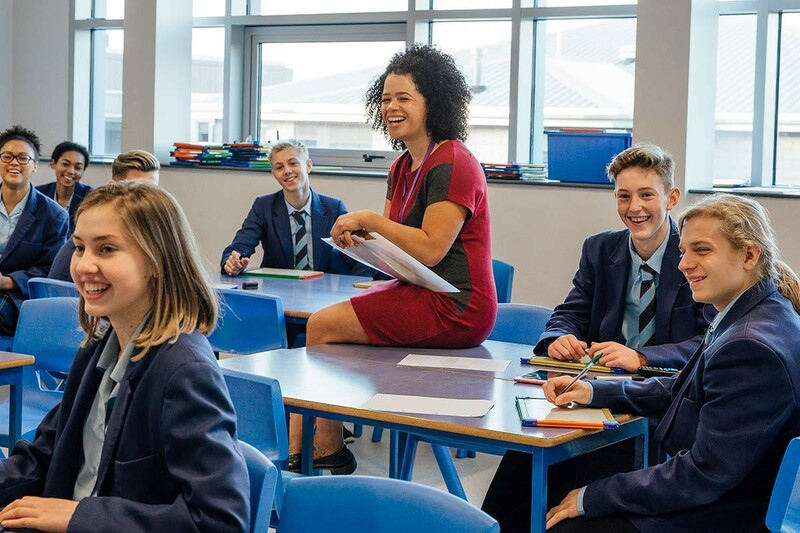 Last year the national happiness awards gave us at Laughology HQ the opportunity to see the innovative work forward-thinking schools are doing at the cutting edge of positive psychology. Childhood is changing. Children grow up in a world defined by fast-paced technological development and live lives increasingly online in spaces adults struggle to understand. Academic expectations increase while the gap between what is taught in schools, and what is required in the outside world progressively widens. Consequently, mental health issues in young people are reaching worrying levels. Thankfully, many innovative schools are beginning to address these issues and are using methods based in positive psychology and neuroscience to future-proof pupils and improve their lives and outcomes. As the Happiness Awards proved, the schools using positive psychology to best effect are the ones which face the most challenges. Necessity really does drive invention. Many of the most pioneering schemes we saw were introduced in response to issues such as deprivation, social exclusion and poverty. Commendably, these schools have taken the lead and created cultures of aspiration and positivity which expand beyond the classroom and into the community. Much of the positive work shares synergy with the themes embedded in our own Happy-centred Schools programme, which continues to roll out across the UK. Each of the finalists understands the importance of positive relationships, personal development, confidence, coping skills, resilience and support. At St Matthew’s Primary in Luton, one of the prime objectives has been to develop aspirations and self-belief. One of the common themes which ran through all finalist entries was a sense of togetherness. Each school developed initiatives in which staff and leaders all had equal input. Children have also been encouraged to develop ideas. Over the last year in all the schools we have worked with, it has become increasingly clear that staff well-being needs to be on the agenda. This is not just a workshop or inset day, although that is a great start to helping introduce and address some positive strategies. In successful schools well-being becomes part of the on-going culture for teachers, children and the wider learning community. With some schools introducing mentoring and coaching for teachers to help them support their year groups. Year leaders and senior teams also need leadership and management skills as part of on-going learning, this helps embed a caring and positive culture. Schools also need to be helping teams have resilience techniques and understand strategies for self-care, managing workload as well as general well-being knowledge. Long term such interventions pay off and create schools where children, teachers and parents flourish. We have produced a short ‘how to’ guide, which we hope will give you some valuable pointers on how to bring happiness to your school. Develop a culture of happiness from the ground up, with strategies for well-being, support and team development that are embedded as part of your school development plan. Encourage confidence, resilience, positive relationships, support and development through interventions such as coaching, mentoring, team days, individual learning plans and training sessions. Include parents, staff and pupils in decisions about the school, its goals and vision. Promote positive communication between pupils, teachers and parents with assemblies, communication boards and newsletters, as well as an open door policy. Show trust and allow pupils and staff to feel ownership of the school. Give everyone a voice. Have a pupil voice board, parent voice and teacher voice. Remember to think about how to include even the quieter ones. Create a positive environment, both physically and emotionally; think about what the environment feels like to be in. Encourage ideas and deliver on some. Introduce mindfulness lessons for teachers and children and have mindfulness champions. Develop themes of respect for all. Encourage physical health through a walking bus or walking programmes with teachers, children and parents. Introduce physical workshops for teachers after school; yoga, Pilates and keep fit workshops that can be delivered by an external trainer or from an online source. Have healthy eating commitments in school. Give praise in a growth mindset way. Be creative and have fun, laughter is very good for you, make time for it and encourage it.